TotalBiscuit is Speaking at Escapist Expo 2013! Come rub elbows with these special guests at Escapist Expo 2013! 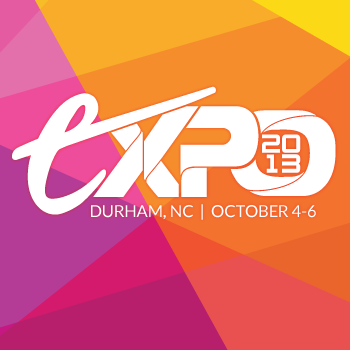 Escapist Expo 2013 is just around the corner, and will be taking place October 4, 5, and 6 right here in Durham, North Carolina. With Expo looming, it's time to start planning your weekend. To that end, we've got some special guest highlights and their panel schedules for you. It's not too late to register if you're not too far away. Get your pass, come on out, and plan to check out some of these special guests at their panel appearances. Known by aliases such as The Murloc, TotalHalibut, TotalBiscuit (TB) and the Cynical Brit, John Bain is an incredibly opinionated media producer from the United Kingdom. In the spring of 2010, John began producing various gaming videos for his YouTube channel. The TotalHalibut Channel is one of the most successful gaming channels on YouTube with a fanbase of more than 1.2 million subscribers. The five guys that make up The Warp Zone started making videos together in college at Santa Clara University, where they discovered a love of sketch comedy with an onÂ¬campus club called BroncoTV. The Warp Zone found considerable success with their music videos; their HaloÂ¬themed parody of The Wanted's hit, "Glad You Came," continues to be their most consistently viewed video. The Warp Zone plans to continue on their quest to be the most successful nerd comedy/music video channel on Youtube. Steve Segedy is a game publisher, a web developer, and a dad to two great boys. He is the man behind the curtain at Bully Pulpit Games, handling the day-to-day operations as well as production, editing, and occasionally a bit of writing for award-winning games like Fiasco, Grey Ranks, and the Shab-al-Hiri Roach. He is also the lead organizer for Games on Demand, an all-volunteer organization that puts on gaming events at Gen Con, Origins, PAX, and other regional conventions. S. Gregory Boyd is a partner and the chairman of the Interactive Entertainment Group at Frankfurt Kurnit, where he represents a wide variety of interactive entertainment and new media clients. Mr. Boyd has extensive experience negotiating and drafting game development agreements for consoles, PC's, mobile games, social games, online games, and MMO's. Want to know more? You can check out the full panel schedule for Expo 2013 right here. Expo is just one week away, so we hope to see you all there!